Hiking in the Zillertal mountains is something special. This mountain scenery will amaze you. Everyone feels good here - from the beginner to the passionate mountain climber. - and ... the Zillertal mountains as terrific scenery. 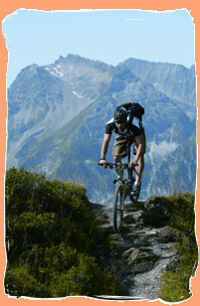 Mountainbiking ... 24 gears, breathtaking views and more than 800km of marked cycle trails across the Zillertal. 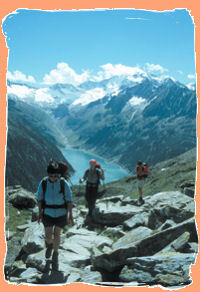 There are more than 30 different tours, starting with easy trails between Strass and Mayrhofen with a length of 40km. The Zillertal Cycling Map is a good companion on long cycling trips. Climbing......The bizarre rock formations and steep rock faces found in the Zillertal Alps National Park provide pure excitement for climbing enthusiasts. Alpinists equipped with rope, pickaxe and crampons will find perfect summit tours. Swimming.......Fun, action and adventure - the Zillertal offers numerous swimming baths and bathing lakes. Water - the source of life. Enjoy the magnificent open air swimming pools and bathing lakes; it's refreshing and fun for young and old. The Sport- & Recreationpark "Sommerwelt Hippach" and the Adventure bath Mayrhofen with giant slide and "Crazy River"
It is not without reason that the Ziller Valley is known as the ‘most active valley in the world’. 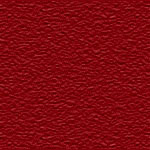 We have throughout the seasons the possibilities to organise various different activities. The summer is as attractive as the winter. Whether it should be rafting, canyoning, tubing, it will make your summer holiday a memorable experience. Rafting at the Ziller..........Get into the boat and experience the force of the element white water! Ride with your friends over waves and rollers, experience the force of hard water and work as a team in order to conquer the river. Canyoning........Investigate the race and the strength of the water of the last millennia with slides, jumps and abseiling in thundering waterfalls in a landscape which would always remain unattainable on normal ways. Canyoning is thrills and fun in a naturally created world of experience. Tubing....Going down a river on a truck tyre is actually nothing new, our fathers already did it 30 years ago. We have only rediscovered it again. We take a trip down the fantastic and wild river Zemm. "Pension Erler - Hippach im Zillertal - Privatzimmer mit 3 Edelweiss-Gütezeichenensionl"